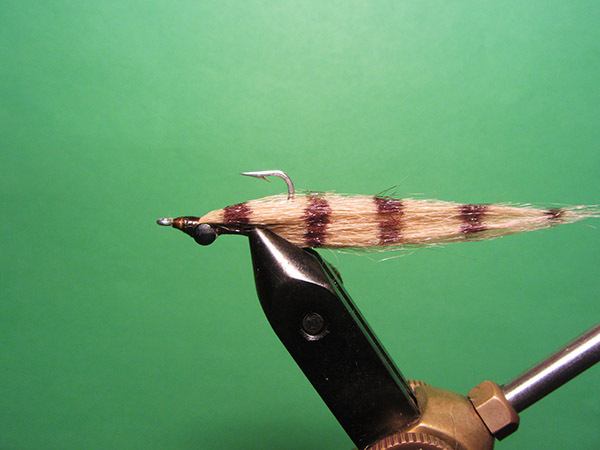 This is one of my “go-to” patterns while sight fishing redfish this time of year. 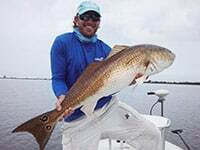 During the winter months here in east central Florida along the Indian River Lagoon the water is usually low and gin clear, which can make sight fishing in the skinny stuff a technical yet rewarding challenge. 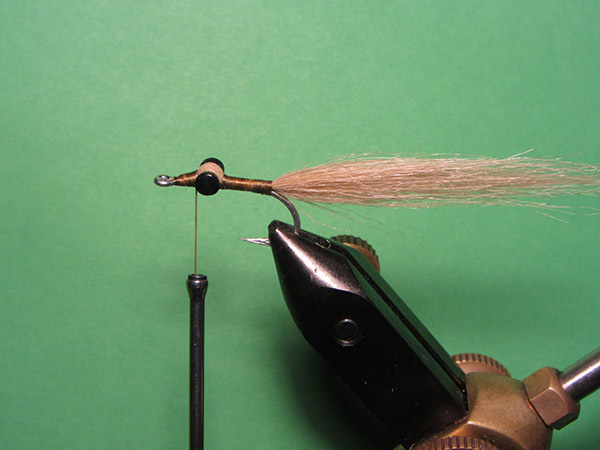 Proper presentation and fly selection normally are the difference between success or a bunch of spooked fish and blown opportunities. This fly has been a consistent producer and has found a permanent home in my fly box. 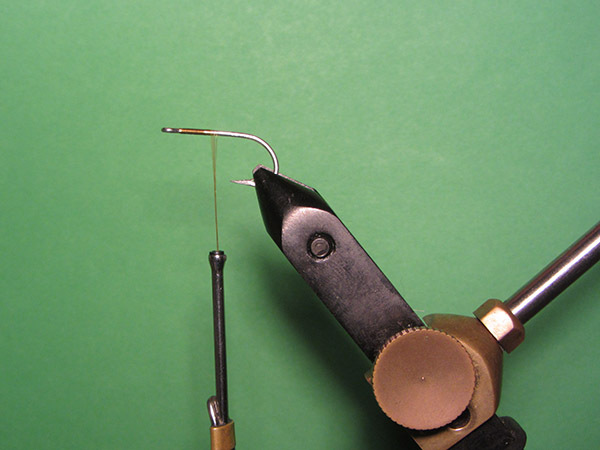 Step 1– Secure the hook in the vise and start the thread just behind the hook eye. Step 2– Tie in the eyes and secure with figure eight wraps. Use a touch of head cement (super glue, Zap-A-Gap, etc.) to ensure a strong hold. 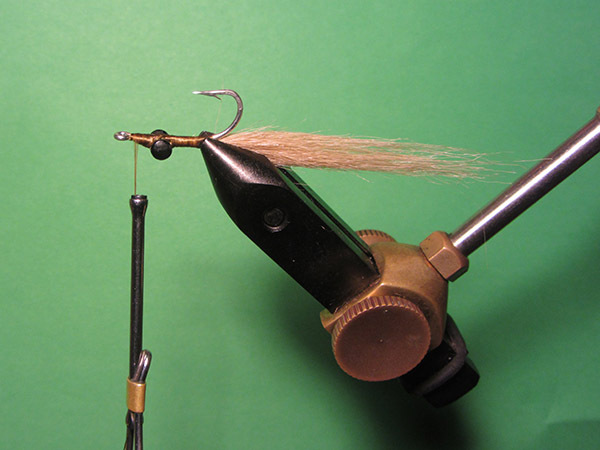 Step 3– Wrap the thread back to the beginning of the hook bend and tie in the tail material. 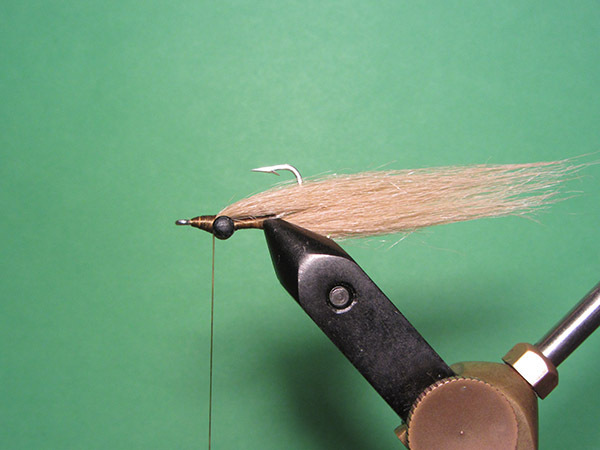 Step 4– Making even wraps towards the hook eye secure the tail material to the hook shank. 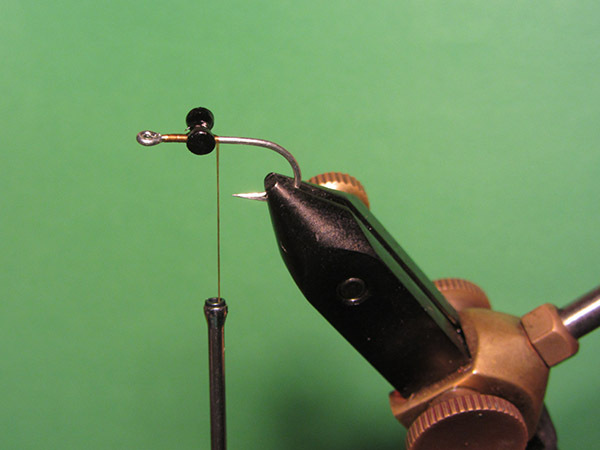 Step 5– Turn the hook over in the vise so the hook point is riding up. 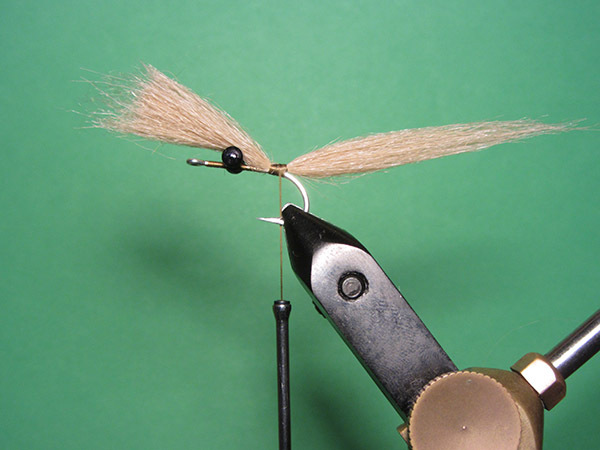 Step 6– Tie in the wing material in front of the eyes securely and build an evenly tapered thread head towards the hook eye. 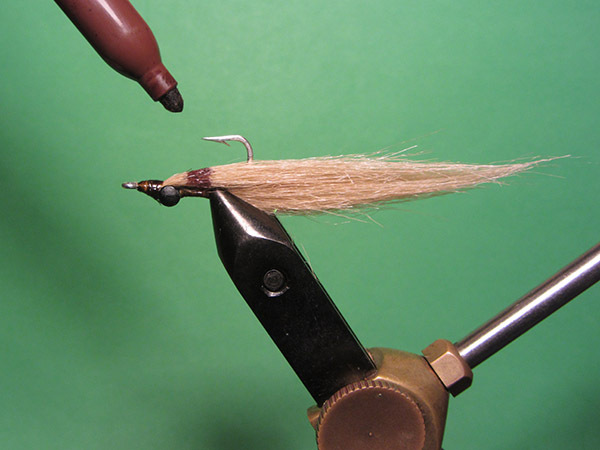 Step 7– Whip finish, coat the thread wraps with head cement and bar the fly with a brown permanent marker. 2017 Yellowtail Shootout Tournament Information – It’s Time!